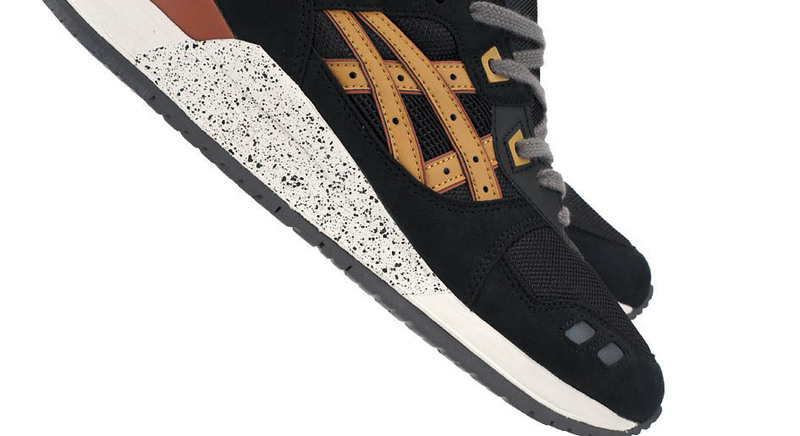 Another strong look arrives for the ASICS Gel-Lyte III, this time in black and tan. 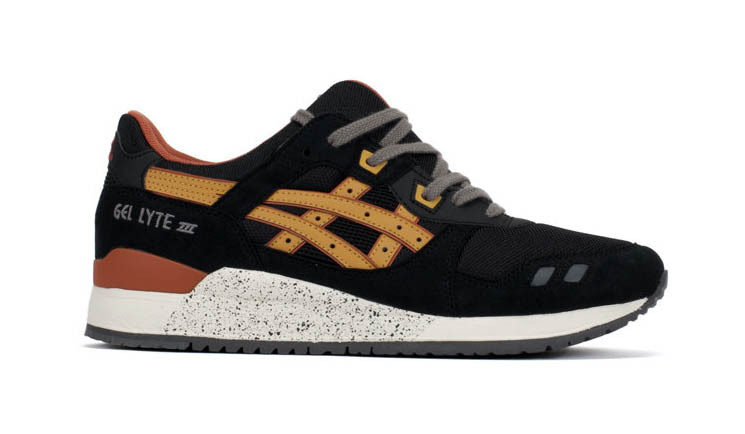 ASICS doesn't seem to be stopping the steady flow of great looks for the classic Gel-Lyte III anytime soon, as this smooth black and tan version arrives at retailers for the fall. With a blend of suede, nubuck and mesh on the upper, this pair receives a darker look with a predominantly black upper with tan, burnt orange and grey accents completed with some nice speckling in the midsole. 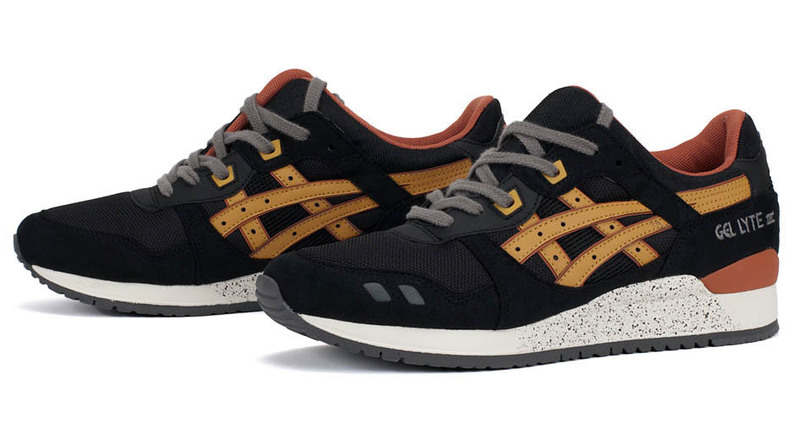 Look for the Black/Tan Gel-Lyte III at select ASICS retailers now, including online from Bows & Arrows.